When most people think of medieval times, they think Game of Thrones in Europe. 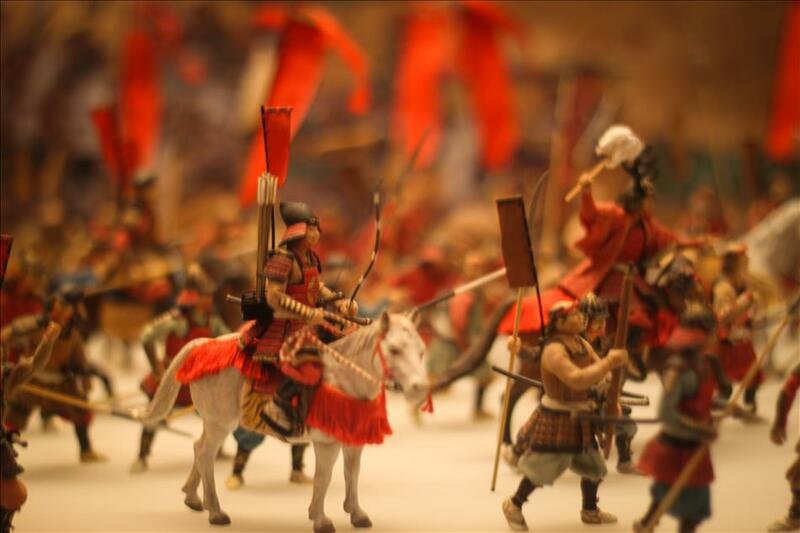 However, Japan had its own medieval period of sword fights, bloody battles, and extravagant wealth. 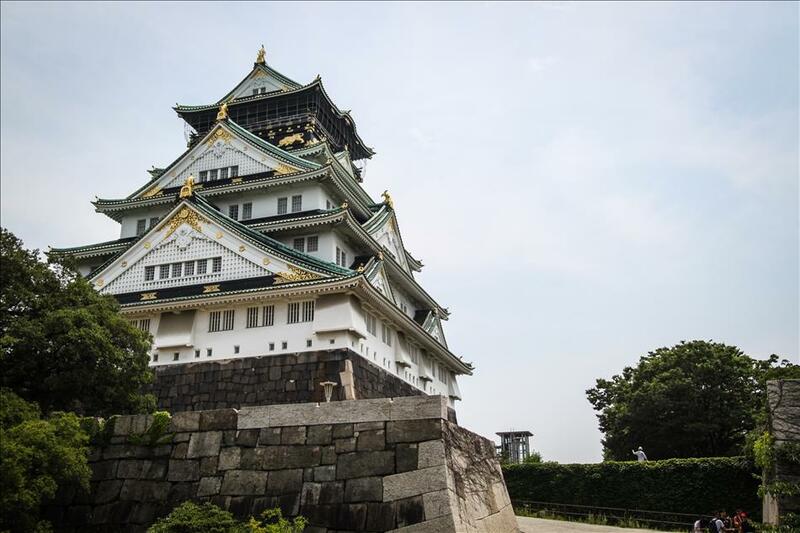 Visiting Osaka castle and Tenmangu Shrine is like taking a trip back in time to when fearless samurai defeated dragons, and feudal princesses walked around in silk kimonos. 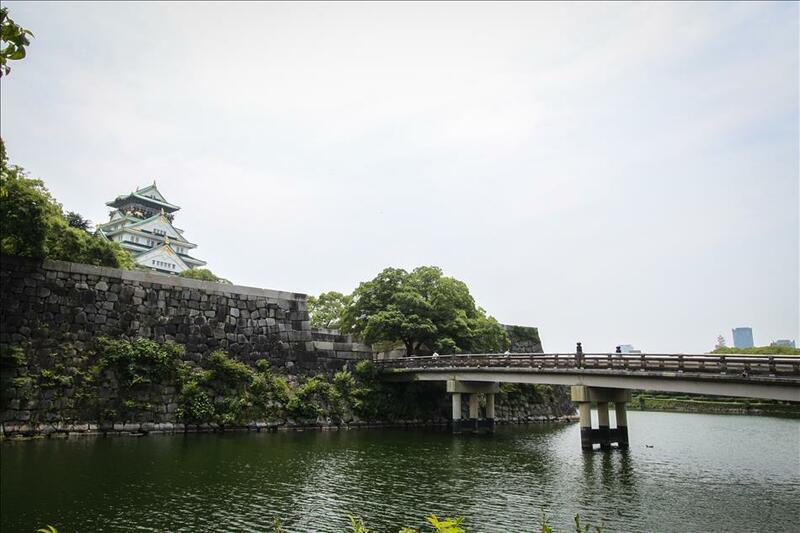 Osaka castle is over 400 years old and was one of the major castles in the area until it’s fall 146 years ago. Immediately walking up to the paved stone bridge overlooking the wide moat rippling with the pathways of ducks swimming across the surface, the power this castle used to hold is evident. It’s sheer size comprised of a square kilometer of stone and tiers of classic Japanese teal and gold curved roofs exhibit the harmony between beauty and impressive strength. Inside are 5 floors of exhibits from the castle’s extensive history. Inside the museum is everything a girl would imagine would be in a castle, there were suits of armor, beautiful silk painted tapestries of battles, and even a gold plated tea tasting room where the family used to entertain guests. The halls painted a picture of leisure and also of the violence of the era in priceless antique heirlooms and battle banners. After exploring the halls of each floor and reading up about the rich history of the castle. I made my way to the top for a breathtaking view of Osaka. The skyscrapers being a reminder of the modern world sans samurai and shoguns. 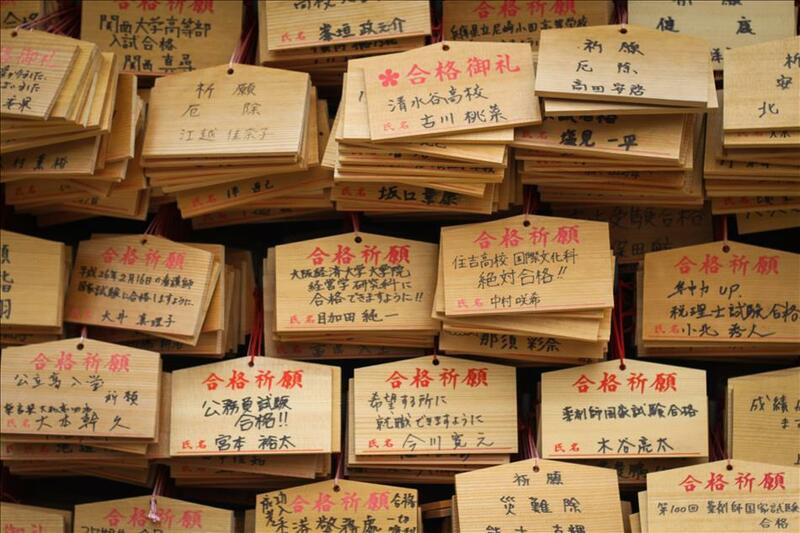 Tenmangu shrine is also a trip back in time, but with a little more zen and a little less violence. 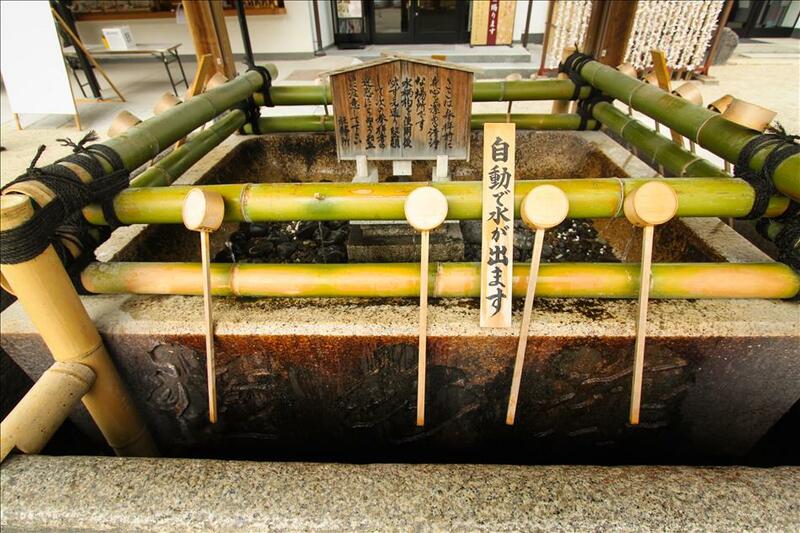 This ancient shrine dates back to the tenth century. It was founded in honor of a celebrated scholar and today still serves as a place for students to come pay their respects and pray for good scores on their exams. 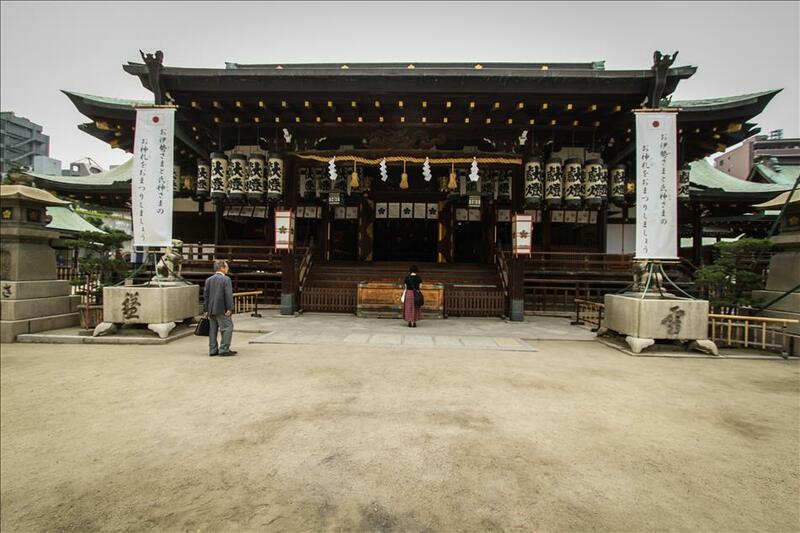 Large engraved wooden doors open to a gravel paved garden and shrine with flowing water and a central shrine where prayers are rung in with the bang of a gong. 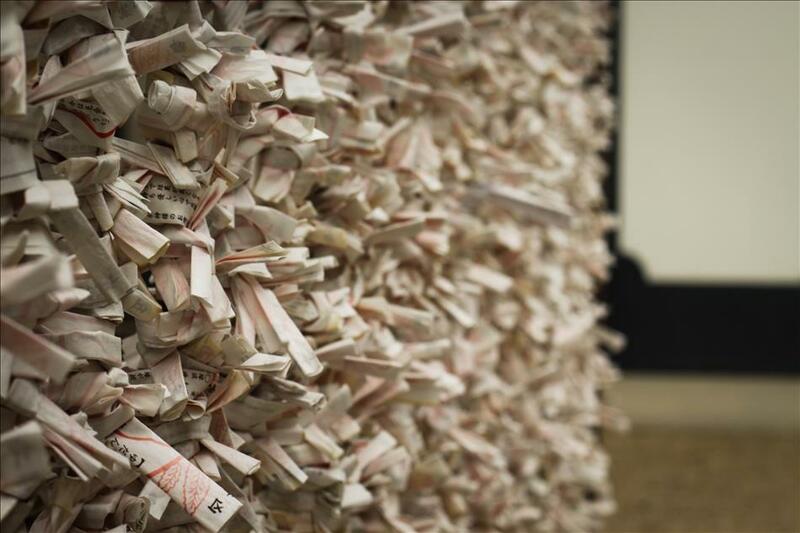 Prayers written on paper are tied to wooden racks for the wind to blow through their many fingers. 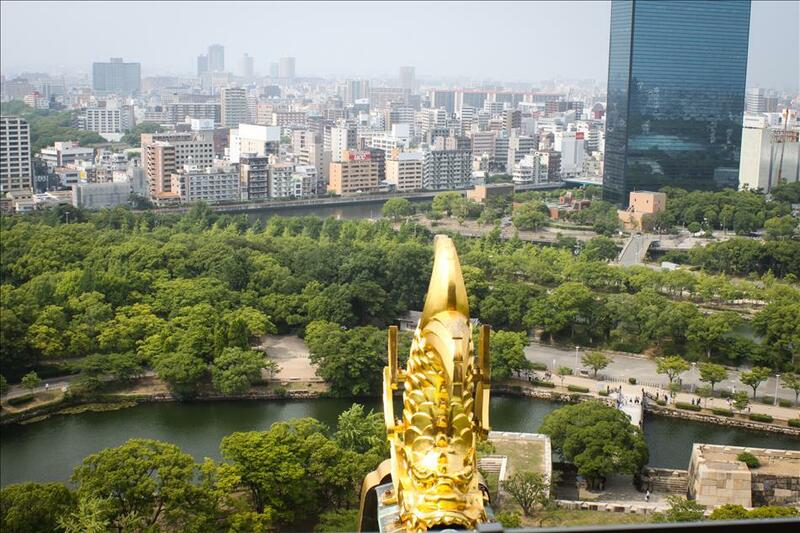 Visitors can meet the gaze of thousand year old statues, and meander through the shrine as they countless visitors have been for over a millennium. The beauty, history and cultural presence was awe inspiring. An added bonus was that the place was nearly deserted midday, and I could wander to my hearts content through the grounds taking in everything. By late afternoon, sushi was calling my name and beckoning me to return to the modern world to grab a bite to eat. It was with reluctance I got back in my time machine and returned from my travels through Japanese history. If you find yourself in Osaka, visiting these sites is the closest thing you can get to some actual “Back to the Future” adventuring through time. Just call me Andrea McFly- San!